This is another variation of Kyo Kusanagi himself. In KOFXII, the Kyo we all know and love with his flame-laced Rekka series and a nice fancy move set was oddly absent. KOFXIII blesses the players with the ability to play as a different version of Kyo with his rekka series and a few of his moves back! Despite what the name of the said character implies (NESTS Kyo), this version of Kyo is more based on his KOF98 iteration, rather than the NESTS saga of the KOF series. Now the players have the option to replicate Kyo's game play from his 98 move set, including his infamous R.E.D kick, his Mu-Shiki DM special, and (most importantly, his flame Rekka series and mix-ups! What also needs to be understood is that there are quite a few differences between the NESTS Kyo and the regular Kyo of KOFXIII, some of which are obvious and others that are subtle. This version of Kyo is a very nice addition to the KOFXIII roster, especially for KOF veterans who might enjoy this particular style of Kyo moreso than the regular Kyo. As of KOFXIII, NESTS Kyo is a solid character and no player can go wrong with using him on their team. NESTS Kyo are meant for those who favor aggressive game play. Again, NESTS Kyo is based on his 98 iteration. There are some blatant and many subtle differences between Kyo and NESTS Kyo game play. NESTS Kyo employs a very aggressive rush down game with a nice set of Rekka special moves. NESTS Kyo returns with his R.E.D. Kick is back which allows him preemptively anti-air his opponent for a hard knockdown. A hard knockdown is key to NESTS Kyo's game play and his positioning. After using his EX Rekka, the player has the option to use the other Rekka attacks for continuity. For OTG's, NESTS Kyo must use this EX Rekka combination: QCF+AC, QCF+A, HCB+A, A, and then NESTS Kyo can drive/hd cancel into his upkicks (QCF+D, D) to launch the opponent into the air once more for more damaging combos. Some of NESTS Kyo's juggle requires specific timing for maximum damage at mid screen. NESTS Kyo Orochinagi DM is not quite as fast nor as proficient as the regular Kyo's but is still extremely useful for a variety of situations. NESTS Kyo needs to be careful around zoners however as he excels at getting close and opening the opponent up to a violent barrage of attacks. NESTS Kyo is also very good at meter building, thus making him a pretty good point character. NESTS Kyo can combo into f+B from cl.C unlike the regular Kyo. NESTS Kyo has better hit confirms as his st.B hits low and can be chained into each other. The Regular Kyo Orochinagi DM is a lot better than NESTS Kyo, while the latter seems a bit on the slow side. NESTS Kyo's overall corner pressure is better than the regular Kyo's. NESTS Kyo lacks the ability to out zone his opponent, thus making his long range options limited compared to the regular Kyo's. Their DP's are different: NESTS Kyo's DP+A is similar to the regular Kyo's DP+A but their C versions are where the differences are. NESTS Kyo's autoguard during the DP+C motion is far more blatant and hits twice. Regular Kyo's DP+C hits three times. NESTS EX DP motion has him travel slightly into the air and remain stationary while performing the move until it is finished. Kyo's EX DP just has him travel high into the air vertically. NESTS Kyo's QCB+K requires him to "catch" the opponent and then cause an explosion, while the EX version works as another damaging reversal option. NEST Kyo will still go through the same animation sequence making the move unsafe. The Regular Kyo's version of this move automatically works after the first successful hit and the animations stops with Kyo's elbow in front of him. The EX version of the move works as a command throw (4 frames). 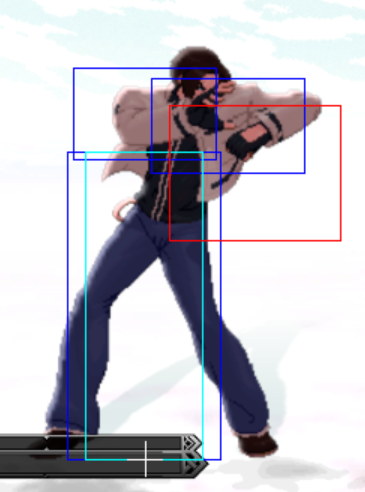 To finish Kyo's upkicks (QCF+K), the player must input another kick notation to finish the move. The regular Kyo's secondary kick from this move automatically comes out. NESTS Kyo can not cancel his down forward.D command move at all and is best used for HD combos. Neo Max does not scale very much due to it being worth very few hits. s.A: 25 damage, chain/cancellable, hits mid. A quick elbow quick lacks horizontal range to stop short hops sometimes. He can hit crouching opponents now with this jab, which should be good for quick high/low mixups and confirming into bnb's. s.B: 30 damage, chain/cancellable, hits low. A quick standing, low kick. Compared to his s.B of his normal version, this one you can chain and cancel into other other normals, such as crouching or standing A, and his df+D for example. s. C: 70 damage, cancellable, hits mid. Up close strong punch. Due to its speed, it is a bnb/combo starter of choice. Defensively it is best to use this move if your opponent is trying jump over your head, because of it's vertical height. Because of its quick start up, it can be used to employ offensive pressure to catch mashers in your blockstrings. It also can be used a quick punish option for moves that have bad recovery but they must not be pushed back very far on block. far C: 80 damage, whiff cancellable and cancellable by itself, hits mid. Strong punch that's aimed slightly upward. It has good range and is an okay anti-air as well as pretty good hit-stun so it may end up starting a few combos. On block, it isn't safe but Kyo does get pushed back quite a bit from the opponent, so you can use that to catch those trying to jump, roll, reversal, etc. after they block it, and counter it with a quick move of your own. s.D: 80 damage, not cancellable, hits mid. Jumping turn kick. It has great reach, its invulnerable against low attacks, and its safe to use as a mid-ranged height poke that aims at the opponents mid-section. It is safe on block and does push him not too far away from his opponent, so you can try to use it to bait reversals after they block against it. One fault against this move is that it isn't chain, or cancellable into anything, so if you whiff it, you may be punished with something that has quick start-up. cr. A: 25 damage, cancellable, hits mid. Crouching punch attack. A very quick poke that can be chained into other quick normals. It has decent range and can be cancelled into his A version rekkas or his qcf+B kicks. cr. B: 30 damage, cancellable, hits low. This quick crouching kick has great range and speed, and usually starts many of his bnb combos. On block you can use this kick to create a small amount of space between you and your opponent for you can follow up with whatever you feel is safe to continue your pressure. You can also use this kick to punish moves that have bad recovery on block, and confirm it into a bnb combo or a combo with greater damage. If you are quick enough, you can also link this low kick into his close C to confirm into a combo or to use as a blockstring. cr. C: 70 damage, cancellable, hits mid. Crouch uppercut attack, good reach, great priority, very fast, and good as an anti-air. It is best to use this against jumps or high jumps and will beat out moves that whiff against crouching opponents. It would not be a good idea to use this move as a reversal dp because of its start up and it obviously had no invincibility. cr. D: 80 damage, whiff and hit cancellable, hits low. A crouch sweep attack. It knocks standing opponents down when hits and has good reach but it's rather slow. It's cool that you can cancel this sweep into command moves (f+B, df+B) and his specials shorten its animation and to also cover certain distances that the sweep may be open to (hops), or to maintain offensive pressure in blockstrings. j. A: 40 (45) damage, hits overhead. Jumping elbow attack. It comes out fast but the range is mediocre. 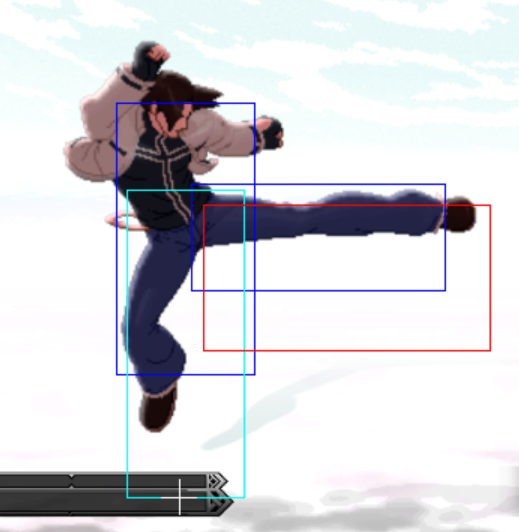 Most likely best for an air-to-air because the hitbox is pointed more horizontally at 3 o'clock. j. B: 40 (45) damage, chainable, hits overhead. Jumping knee attack. It has good priority, stays out for a bit and crosses-up. It is best for short hop jumpins and can be easily confirmed into his s.B or s.C, etc. for a bnb. j. C: 70 (72) damage, chainable, hits overhead. Jumping punch attack. A great jump-in move that does good damage. You can cross up with this punch, but its more difficult to do so unlike his j.2C. Defensively, you can jump away with this punch against those that may try to jump or super jump towards you at half screen distance. j. D: 70 (68) damage, hits overhead. Good priority, useful in air-to-air and should be used earlier than later because of it's range. A great move to be used defensively too to keep advancing opponents out. It does whiff against crouching opponents, so you may be d.b'ed against someone if you try to use this for the wrong situation, or if you abuse it. CD: 75 damage, whiff and hit cancellable. A very fast shoulder tackle that knocks the opponent down in a rollable knockdown. You can whiff cancel it turning rekkas into a slighly kara-rekkas or a kara rpd+B, or it can be seen as a fakeout in a way. j. CD: 90 (80) damage, hits mid. Air shoulder tackle. It comes out pretty quick and delivers a chunk of hit-stun like many other CD attacks. If it hits a jumping opponent as a counter hit, follow it up with another j.CD or a quick special move or his orochinagi (qcf hcf+P). Issetsu Seoi Nage = (b/f + C/D) (close) 65+36 damage. Can be broken, causes a hard knockdown. A slam to elbow drop, which ends with the opponent facing up. Okizeme wise you can run towards them, hyper hop into a j.2C or take a few quick steps and superjump into his j.2C for a crossup. Or you can mix them up with an empty jump into a low attack or run up, then wait and see if they throw out a reversal. Goufu You = (f+B) - 75 damage, only cancellable from a canceled normal, hits overhead. EX Kyo's classic Overhead, with a buff from Normal Kyo. The raw version is not much difference than what you know, OH, and can't be canceled. However, when chained into, such a surprising thing...it actually combos from heavies. So weird right? Anyway, this move unlike Normal Kyo can actually combo from his st.C, which gives him a hit confirm command normal to make up for losing the ability to cancel 88 Shiki. 88 Shiki = (df+D) - 55+42 damage, not cancellable, hits low twice. Can be punished by moves that have quick start-up. EX Kyo retains his 88 Shiki but loses the coveted cancel ability he had in his normal state. This means his hitconfirms from lows won't be as devastating or as easy, but with Goufu You actually comboing now, he can live. Also, 88 Shiki is still an easy way to get into HD mode, so it still serves a great purpose, just without as much abuse. Naraku Otoshi = (j.2C) - 50 damage, hits mid. Kyo's signature hammer punch, which is actually slightly nerfed compared to Normal Kyo's. It's a bit more difficult to cross-up opponents with it, but it's still very good regardless. It's air-to-air reliability is poor, so it's best to keep it only for jumpins, while keeping j.CD and j.D for that situation only. 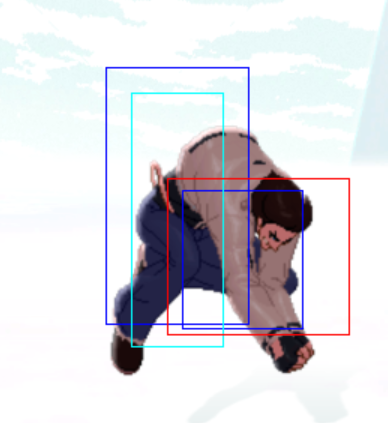 Try not to abuse this move because most characters crouching B's can shrink their hurtbox, ducking right under it, hitting him on the way down. 100 Shiki Oniyaki = (dp+P) - EX Kyo's DP. He rises upwards with flames spinning around him. A button is one hit, C is three hits and rises a bit more vertically. (EX) = (dp+AC) - EX Kyo spins around in place with his flames spinning around, creating a vortex effect when hitting the opponent. EX Kyo's DP, pretty much the one you remember, especially from 98, autoguard included. And just like you remember, if you want the better reversal, it's the C version as it maintains more invincibility. A version does have autoguard but it will get beaten out by correctly timed normals, however it's obviously safer on block. Basically, if you enjoyed the DP from 98, you'll enjoy yourself here. R.E.D Kick = (rdp+K) - EX Kyo flips over and does an overhead kick (that doesn't hit overhead). Button strength determines distance. (EX) = (rdp+BD) - EX Kyo homes in on his opponent with the kick. A solid part of EX Kyo's game, though not as much as it used to be in 98. It's pretty much the same exact move it used to be, except that it will now connect against crouchers, which is as much helpful as it is hurtful as RED Kick is not very safe on block and is not an overhead. It's still good as a psychic/preventative anti-air. Gives him a decent way around fireballs, especially the EX version. Still causes a hard knockdown for safe jump setups. However, so does the next move on the list. 212 Shiki: Kototsuki You = (hcb+K) - EX Kyo rushes with his elbow, and when he makes contact, he raises his other hand, and if it hits, ignites the opponent in flame. Button strength determines distance run. 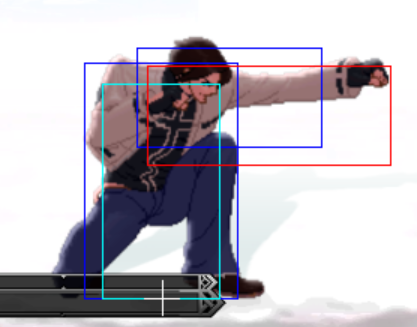 (EX) = (hcb+BD) - EX Kyo slides a short distance with his elbow. Gains invincibility until active frames where it gains Autoguard. EX Kyo's elbow rush. It behaves a bit differently than his normal version, and again, more inline of his 98 counterpart. Unlike normal Kyo, after his initial elbow, he connects with his second arm and then ignites the opponent. Unfortunately, this not only makes the move a bit more unreliable on hit as the second arm can occasionally whiff when juggled, it makes it MUCH more unsafe on block as the second strike will come out regardless. However for the most part, especially in combos, the normal version is used the same way as Normal Kyo's. Now his EX version is a MUCH different beast. Whereas N.Kyo's EX Elbow is a 4 frame command grab, EX Kyo's is built to be a great reversal. He slides a short way, gains invincibility and autoguard, and when spaced right is much safer. So where N.Kyo's is built for more offense, this is built for more defense. A solid move to keep in mind. 75 Shiki: Kai = (qcf+BB/DD) - EX Kyo does an upkick, and another after the second button press. D gives full juggle ability afterwards while B delivers time-limited juggle ability. B version is quicker on startup and can connect from lows. (EX) = (qcf+BD)- EX Kyo automatically does two upkicks launching the opponent extremely high in the air and has relatively quick startup. EX Kyo's Upkicks, and again they are more inline with his 98 counterpart. It requires another input of the kick you use to get the second upkick, and they can be unreliable to land unless done close. Unlike older Kyo's however, you can't delay the second input that long thus Upkicks are not as safe or as advantaged as in the past. With the oncoming of Kototsuki You being a lot better in this game, Upkicks are really just best used during Drive Cancels and HD combos as it will be an unreliable tool otherwise. You won't be seeing this move as much as N.Kyo. 104 Shiki: Aragami = (qcf+A) - EX Kyo throws a hook with some autoguard on it. Very safe on block. EX Kyo throws the first part of his Aragami chain. This will be the move you use most in a match, or at least it should be, special wise. With a decent amount of autoguard and being pretty safe on block, you can almost spam this move. Don't though unless you want go get beaten out by certain punishes, but other than that, it's a great move to use, and your best neutral special. Use and abuse. 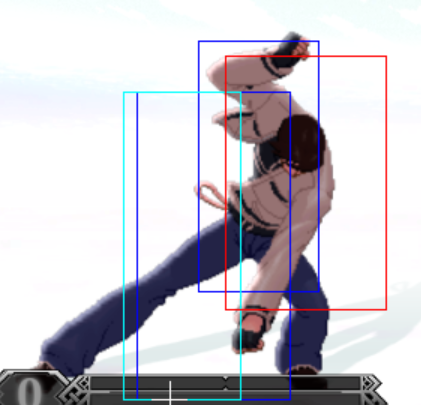 128 Shiki: Konokizu = (qcf+P) - EX Kyo throws an uppercut after his hook, also has a bit of autoguard on it. One of the two branches of Aragami, and likely the one you'll use most. It grants EX Kyo an extra anti-air, in case your opponent hops or jumps over your Aragami, and allows you to catch them and push them into, or keep them in the corner. It's decently solid for juggles too. Keep in mind though, not very safe on block, please confirm into the move. 127 Shiki: Yanosabi = (P) - The Punch Ender of the Aragami/Konokizu Branch. EX Kyo hits the opponent with an overhead elbow that causes a hard knockdown. The punch ender for the Aragami/Konokizu series, you won't use this too terribly much unless you have your opponent trapped in the corner all game. This does not connect midscreen, so this is corner only. 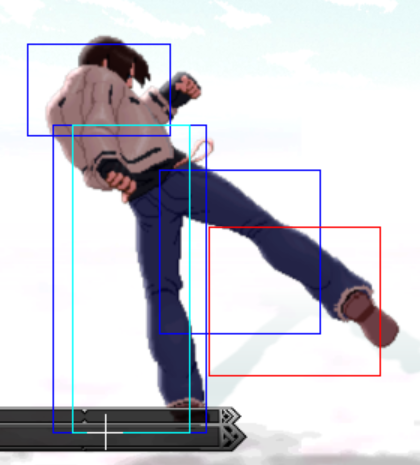 While this does the same amount of damage as the Kick ender, Nanase, this move causes a Hard Knockdown allowing for safejump setups in the corner. Also, you could use this to possibly keep yourself safe on block but it's not recommended it as it isn't much better than Konokizu in that regard. 125 Shiki: Nanase = (K) - The kick ender of the Aragami/Konokizu Branch. EX Kyo does a flying kick that sends the opponent flying. The Kick ender of the A/K Branch, and likely the ender you'll be using most. It connects from anywhere from Konokizu, and sends the opponent flying after contact. However, it is MASSIVELY unsafe on block, so please confirm into it unless you like a quick death. 127 Shiki: Yanosabi = (hcb+P) - The punch ender from before now starts its own Aragami branch. Overhead Elbow as before. Does not combo from Aragami on the ground. The Yanosabi returns to start its own Aragami branch. However this will not be used nearly as much as it can only combo from a juggle, which means you'll likely only see this in Drive Cancel combos. You could try to sneak this in on block, but no one will block low. It can be somewhat safe with the pushback but it's not recommended. GeShiki: Migari Ugachi = (P)- Punch ender of the Aragami/Yanosabi Branch. EX Kyo punches the ground for an OTG. Also causes a Hard Knockdown. EX Kyo's Punch ender for his A/Y Branch, and if you're smart, the ONLY ender for that Branch, for reasons which are explained later. Anyway, again, only used in juggle combos for the same reason as the A/Y branch is. 127 Shiki: Nanase = (K) - Kick ender of the A/Y Branch. Like before, does a flying kick, however it combos from NOTHING in the series. The other ender of the A/Y series that might as well not exist. It's the same flying kick as before, however because Yanosabi always knocks down on hit...this will never land. On top of that, the move is just as insanely unsafe on block as before. 115 Shiki: Dokugami = (qcf+C) - The start of EX Kyo's other Rekka series. EX Kyo does a far rolling hook that maintains some autoguard. 401 Shiki: Tumiyomi = (hcb+P) - Second part of the Dokugami series. EX Kyo does a backhand uppercut. 402 Shiki: Batuyomi = (F+P) - Third Part of the Dokugami series. EX Kyo jumps into the air, and does a back shoulder check into the opponent. 100 Shiki: Oniyaki = (dp+P) - Last part of the Dokugami Series, EX Kyo does a quick version of his DP. This is EX Kyo's signature Dokugami series from previous games, and serves the same purpose such as punishment and other things. Unfortunately, like older games, the Dokugami series can be spotty since if you're not close enough at the start of the combo, Tumiyomi into Batuyomi can whiff even on hit leaving you very wide open for damage. Since Kototsuki You does close to the same damage, knocks down hard and is less likely to whiff, it's best to save the Dokugami chain for Drive or HD combos, and even then, only the first two parts will likely be used. That's the gist of it. Now as for the moves themselves, other than increased power and decreased startup, some moves gain different properties. Batuyomi of the Dokugami chain now hits twice and on the first hit can be Drive or Super Canceled, through which Kyo's best DC combos come from midscreen. Also, Tumiyomi into Batuyomi won't whiff anymore, however if done from too far away you will miss the first hit of Batuyomi and you won't be able to Drive or Super Cancel off of it. However, that doesn't really happen if you combo into the EX Dokugami in the first place. Nanase will now Hard Knockdown on hit making it decent anywhere. Lastly, Migari Ugachi now causes a sort of ground bounce on hit allowing you to Drive Cancel and connect Kototsuki You midscreen, or even better, D Kai in the corner allowing for juggles. These chains allow for your greatest versatility and consistency from midscreen, ALWAYS keep these in mind. Orochinagi = (qcb~hcf+P) - The keynote DM of all Kyo's. Igniting a huge flame in front of him, can be held in to prolong startup. (EX) = qcb~hcf+AC - Quicker startup, more damage, 3 hits HOWEVER, third hit has a tendency to whiff in the corner. The Orochinagi...EX Kyo does not have it as good as XIII Kyo in this game. No more Aerial Orochinagi, and the EX version is nowhere near as fast, good or reliable. However the good ole' Orochinagi still finds way to be of some use. For one, you can do a tough DP into Orochinagi loop in the corner in HD mode, or at the least, combo out of it. Secondly, the normal version is solid enough for Max Cancels unlike his EX Orochinagi or his next DM to where you have to wait for all the hits to connect and if you don't or they whiff, you just wasted extra meter. Saishuu Kessen Ougi "Mu-Shiki = (qcfx2+P) - The Final Showdown, legend of 98 Kyo. EX Kyo throws down a pillar of fire, then shines brilliantly through it as he pounds you for four extra hits. As it was said, the Final Showdown from 98 and EX Kyo's go to DM. The startup is decently fast so you can punish some laggy moves that are JUST out of range for your cl.C to punish itself. The damage is very solid for a 1 Meter DM, and it can connect from every cancel-able normal you have (that allows for followups anyway, sorry, no cr.D into Final Showdown). This allows EX Kyo some quick damage combos from a solid distance. However, do remember that this ISN'T 98, so going into Final Showdown outside of HD mode usually isn't the most efficient way to do things, though it does allow a quick trip to the corner. Lastly, if you intend to Max Cancel the move, please wait until the final hit to get max damage. Saishuu Kessen Hiougi "Totsuka" = (qcfx2+BD) - EX Kyo's Neomax. The screen turns dark while a flame is lit coming from EX Kyo's hand. He then streaks across the screen and if he hits the opponent, the entire screen is bathed in harsh flames and afterwards the opponent is face down on the floor, covered in fire. Not too much to say about this Neomax. No invincibility and mediocre range so utility outside of HD mode is minimal. The good news is that since the move is a grand total of one hit, scaling does not hit the move as hard. Also nice to note, in HD mode, when Max Canceled out of any DM, it suddenly gains an Anywhere Juggle property, so even if your Orochinagi or Final Showdown whiff by a mile in the air, Totsuka can connect with anything. (NOTE: If you start the combo with j.D, the damage of the HD combo is 555 dmg. (NOTE: If you start the combo with j.D, the damage of the HD combo is 577 dmg. If you replace the starting HD combo with s.Bx3, you get 468 dmg). If you replace the starting HD combo with s.Bx3, you get 475 dmg). 2.) st. A > cr. C - 3 frame gap between st. A and cr. C. 6.) cr. B > cl. C (L) - 1 frame gap between cr. B and cl. C.
Note: All of EX Kyo's special moves build meter, even if they miss. EX Kyo will naturally get more meter if he successfully hits the opponent with his specials. Also, all variations of EX Kyo's Rekka Special attacks also build meter. Andy has a very good projectile. Should Andy use his projectile, Kyo should keep his distance from Andy's other incoming attacks after his recovery - Kyo can either neutral jump or utilize the R.E.D. Kick to travel over the the projectile. The EX R.E.D. Kick is a nice tool to utilize as well, should the player wish to counteract projectiles. Andy's pressure is mostly safe, thus making him very dangerous. But, Kyo has autoguard on his DP and his Rekka Specials on start-up. It is best to rely on a little more defensive play and punish combos. Punish Andy's db~f+A on block with hcb+BD or qcfx2+P. Be careful using qcf+A against a defensive Benimaru, his Iaido Kick qcf+K can punish it easily. Punish Clark's b~f+A with EX Kyo's dp+A, dp+AC, or NeoMax. Punish Clark's b~f+AC with EX Kyo's dp+A, dp+C, or cr.B. After his rekka blockstring (qcf+Px3), hit Dou Lon after his teleport with a EX hcb+K but perform it as hcf+BD. If the opponent doesn't choose to teleport, you will punish the last rekka on block with EX Kyo's qcf+BD. Elisabeth's dp+AC at its max range is can't be punished on block with any of EX Kyo's moves due to pushback, but at a much closer range Elisabeth can be punished by EX Kyo's dp+C, EX hcb+K, or his qcfx2+P super. The dp+AC can be whiffed punished by a very quick and close ranged qcf+A by EX Kyo. Play cautiously. NESTS Kyo has better hit confirms than Kyo does, but the Regular Kyo's damage output is a bit higher. Use s.C or c.C to counter Kyo's jump in attempts or hyper hops. NESTS Kyo's autoguard on his DP beats out the regular Kyo's RDP+K. Regular Kyo's air game is slightly better than NESTS Kyo so don't stay in the air for too long. NESTS Kyo's RPD+K works well against the Regular Kyo's Yami Barai. When NESTS Kyo is on the offensive, stay cautious of Kyo's EX command grab and reversals. Try to bait them out - the Regular Kyo will have trouble counteracting against NESTS Kyo's pressure, especially if cornered. Not favorable. Play a little more aggressively, because it is going to be difficult to pass through Mai's keep away. R.E.D. Kick counteracts projectile use and ground Musasabi no Mai. Musasabi no Mai air dive and the R.E.D. Kick trades. It is possible to beat out Mai's projectiles with Kyo's Rekka, except for the EX version. Don't play too many air to air games against Mai. Use C or EX version Oniyaki DP when Mai jumps too much or to counteract her Ukihane air command move (d.B). Do not let Mai corner Kyo. Use Kyo's autoguard Rekka specials and DP to stop Mai close normals. This page was last edited on 15 December 2015, at 01:18.